Simple: As Ruskey and Mamakani write, simple means that only two curves can intersect at one point on the Venn diagram. If anything, this seems to make the search more complex because it's a fairly strict restriction. 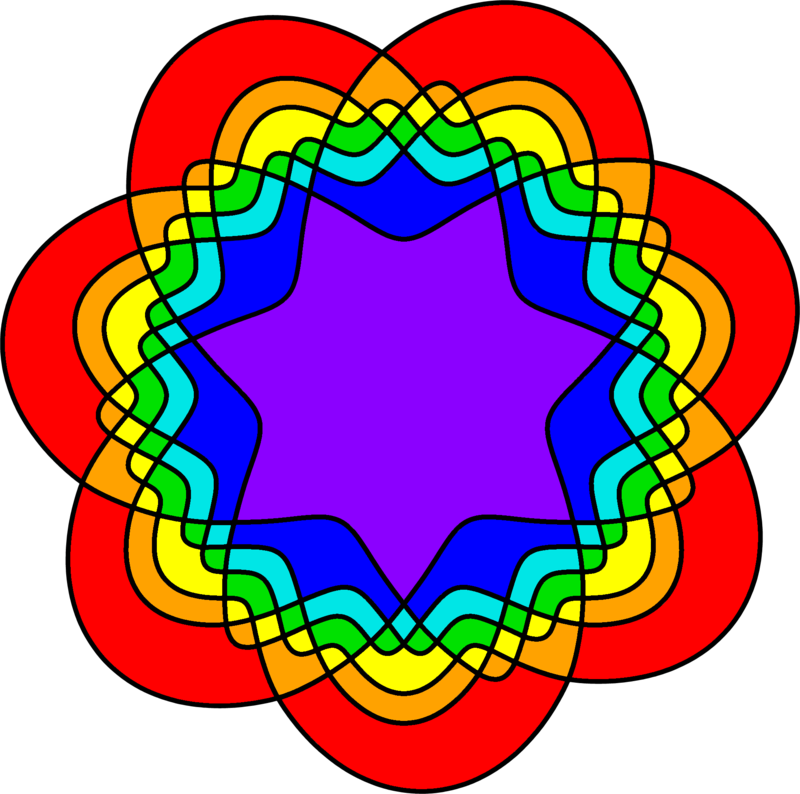 Symmetric: A symmetric Venn diagram will retain the same overall shape after a rotation of 2*pi/n radians, where n is the number of curves in the diagram. This means that a symmetric 7-Venn diagram will look the same every time you rotate it 1/7th of a full rotation. 11-Venn: Quite simply, an 11-Venn diagram has 11 curves. These don't have to be circles though, as is the case in the diagram that Ruskey and Mamakani unveiled. To find their elusive mathematical object, Ruskey and Mamakani developed an algorithm to search for their object. Ultimately, they found thousands of simple, symmetric 11-Venn diagrams, but they uncovered the first one in March of this year. You can see it in all of its glory below. The first simple, symmetric 11-Venn diagram. The existence of such an object has been an open question in mathematics for decades, according to Ruskey and Mamakani. One of the 11 curves is highlighted with a white line. Image courtesy Frank Ruskey and Khalegh Mamakani. The team has named the new diagram "Newroz," meaning "the new sun" or "the new day" in Kurdish. For English speakers, it sounds like "new rose," and all of these names seem fitting. You can read more about Venn diagrams on Ruskey's website, including a set of open problems in this area of mathematics. Maybe you can tackle the next open problem and track down the next elusive diagram. its a nice article for venn diagram and its very helpful for my cousins.